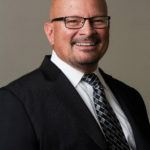 Scott Hess, CBSE, has been the District Director for the Quad Cities District since 2008 after serving in both operations and national sales for FBG since 1999. This district office has been serving the area for more than 20 years. Scott and his team are actively involved in various forms of community services, which likely stems from his leadership skills learned in the Army National Guard and the Boy Scouts.